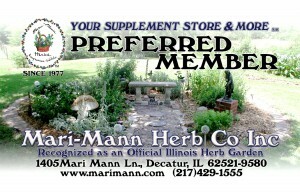 Preferred Members - Mari-Mann Herb Co., Inc. 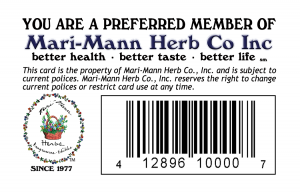 Preferred Members - Mari-Mann Herb Co., Inc.
Want awesome discounts on our products? Become a Preferred Member today! To become a Preferred Member, come by the store and sign up or complete the form below for more information.